Most advice for starting a blog goes something like this: Just start! But like Woody Allen in “Manhattan”, I got caught up with the best way to start. At least that was true until this weekend. 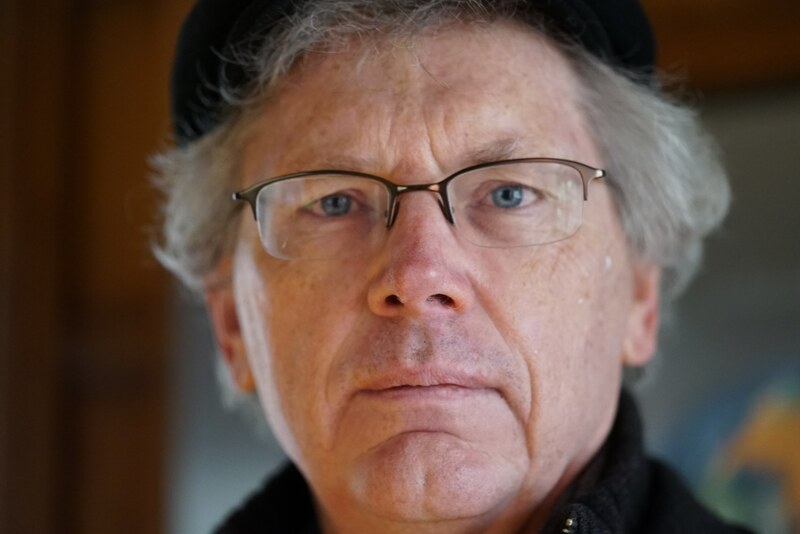 On Friday night, I read Bill Joy’s April 2000 article from Wired Magazine entitled, “Why the Future Doesn’t Need Us.” Yeah, I’m over 13 years late to the party (in regards to his article and blogging in general)—but no matter. Here was something I could start with: a response to one of the most touching and profound pieces of mindshare I’ve read in many years. OK, that’s an exaggeration. Let’s just call it sobering. But still, I loved it. Of course, two of my favorite movies are Stanley Kubrick’s “2001: A Space Odyssey”, and Terrence Malick’s “Tree of Life”, so I guess I get off on that kind of heady stuff. I remember people coming out of “Tree of Life” with a “WTH?” look. Still others criticized it as pretentious crap. Whatever. Both movies resonated with me, and so did Bill Joy’s article. I guess I’m just offering a caveat: Your results may vary. Caveats aside, Bill Joy does a great job of telling us just how dire the straits are that humanity is sailing. So much can go wrong, especially with the burgeoning techno trilogy of robotics, genetic engineering and nanotech. As he points out, this is the first time we are creating the potential for self-replicating technology. We all know how the Wachowski brothers see that working out. To be sure, we face a mountain of obstacles if we are to survive as a species. The Seven Deadly Sins have come to roost: America is a nation of greedy gluttons, mimicked by a world of aspiring greedy gluttons. At our current rate of consumption, we need 9 Earths to sustain us. And chaos theory is no help either. It tells us that the smallest change can have serious global effects; As we hurtle toward the 9 billion-population mark, the odds of that one small catastrophic change coming from one of us dramatically increases. And yet…and yet I have faith that this will work out. To be faithful requires hope and optimism, the anti-matter of cynics everywhere. A cynic would reduce my faith to an ego-driven need for this cosmic dance to mean something. I confess, annihilation would be a serious downer, so I guess my ego does come into play. But the source of my faith runs so much deeper than that. I am at heart, a fan of Life (By the way, I always capitalize the word ‘Life’. It’s my little reverence). We are experiencing a miracle. In a universe that is largely still, we hit the jackpot: a Goldilocks-zoned Pale Blue Dot full of a force that animates. The Reductionists out there will say this circumstance has nothing to do with luck; it’s just that we are on a path that worked, while other attempts at Life in our observable universe have failed (to be so sure of a lack of Life with such a small sampling is like concluding you know what’s in the ocean by studying a tidepool–but I digress). What an ungrateful way to view our experience! Mechanistic or not, this Life is a spectacular gift–why wouldn’t we do all we can to honor that? My faith, then, is due in no small part to a recognition of our profound nature. We are part of an awe-inspiring force more powerful than we yet realize. True, the future does not need us. But I would argue, as the most adaptable invention of Life around this neck of the woods, the future wants us. I’m rooting for this little tendril to bloom fully. In essence, that is only a reflection of what Life wants: to succeed. Faith is simply the framework for that success. Admittedly, my faith also has a practical and personal component: it’s more productive to be faithful than bitter. Kierkegaard got it right: faith is a choice we all must make. Yes, I have my moments of doubt; but mostly, I choose to believe we will figure this out. Hope makes it easier to get up in the morning. Age is also playing a part in my faith. Ten years ago, I would have claimed to be agnostic. Now I realize I stopped too short by believing ‘we cannot know’. The more I read and meditate, the more I sense that science and spirituality will one day recognize each other as two sides of the same coin. Case in point, the futurist John Smart postulates in his “developmental singularity hypothesis” that we will ultimately evolve to transcend space, becoming an intelligence neatly packaged at the subatomic level. Thoughts like these have borne a new spirituality in me: Smart’s STEM (ephemeralization) hypothesis seems plausible, considering our current trajectory; and if that is plausible, then so is the idea that Life elsewhere in the universe has already achieved it. Maybe our conception of an all-knowing God is not just wishful thinking after all. If such a Superior Intelligence exists, why isn’t it helping us? Perhaps It operates with a sort of Cosmic Prime Directive: an edict to stay out of our way until we evolve further. Or maybe we are as ants to humans: there may be no way to communicate with us until (and if) we become more conscious. In between all the noise, I see inklings of that consciousness rising. My faith helps me to foresee a new age coming: a “Neo-Romantic” age, or as I like to call it, an “OldeNew” era (a blending of the accumulated wisdom of Nature with human technology to accelerate evolution). Yes, our future is fraught with potential dead-ends. We need to be aware of these dangers, which is why I loved Bill Joy’s article so much. Dystopic warnings serve as psychological sticks to keep us away from catastrophe. But now, more than ever, we need a carrot. We need inspiration, and some hopeful paths forward. Given the overwhelming need, I can’t think of a better use for the rest of my life than to help make those paths clear.